Fast property transformations that sell. Your property needs to be dressed up just like anything else you go to sell to get you the best price in a growing buyers market. From the agent to the electrician, from the painter too the gardener we have your house covered so it will be shining ready for your open day. Just give us the keys and walk away, it’s that simple. Don’t know what it takes to succeed in selling your property In a buyers market? Well we do! And we’d love to share our wealth of property staging information with you while helping you prepare your property for the market. With a step by step Blueprint to follow and implement. Getting a property ready for sale is more than just cleaning the backyard and vacuuming the floors. If you want to get your Property sold for top dollar then you need to fit it out with furniture that is going to increase the aubience and let the seller imagine they are in their dream home. Does your furniture do that for you now? Want to know the insiders secrets as to why some property owners are able to get more for their money and sell their properties faster? 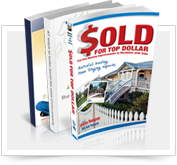 Charyn & Kate have the insiders tips & tricks for you in this Sold for top dollar book. Just enter your name and email below to get your 2 free chapters now! The amazing transformation wouldn’t have been achieved without the input from Houses to Impress! We have just had our property revalued and have refinanced for an extra $100,000. We can now use the extra equity to purchase more investment properties. Thanks for your advice Charyn. I would like to commend you Charyn for the fantastic job you did with the property at Steven Avenue. Although an attractive property to begin with, the ideas you gave the vendors to add the “WOW” factor to their home before taking it to the market, made all the difference. 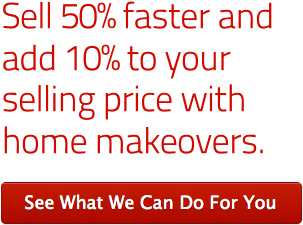 For a reasonable cost to my clients, their home now looks a million dollars. I will have no hesitation in confidently recommending your services to future vendors.